Searches were being conducted on prominent producers and actors of the film industry. Top Kannada actors and film producers were raided today by the income tax department. Around 200 officials searched multiple locations across Karnataka, said an I-T officer. The raids on one of the places, the I-T sources said, unearthed a huge cache of cash and gold ornaments. A goldsmith is evaluating the worth of the ornaments. The raids that began in the morning are continuing across 23 locations, they added. Actors Shiva Rajkumar and Puneet Rajkumar, sons of late superstar Rajkumar, Sudeep, Yash and producer Rockline Venkatesh were among those whose properties were raided, the IT department said without revealing any other details. Homes of producers CR Manohar and Vijay Kiraganduru were also raided. Shivarajkumar is the son-in-law of former Chief Minister S Bangarappa, while his brother is a National Film Award winner. Rockline Venkatesh is a relative of Congress legislator and film producer Munirathna. He had co-produced the Salman Khan-starrer "Bajrangi Bhaijaan". Vijay Kiraganduru is the producer of the latest blockbuster film "KGF", starring Yash, Srinidhi Shetty and Anant Nag. The film has been a box-office hit in both Hindi and Tamil versions. 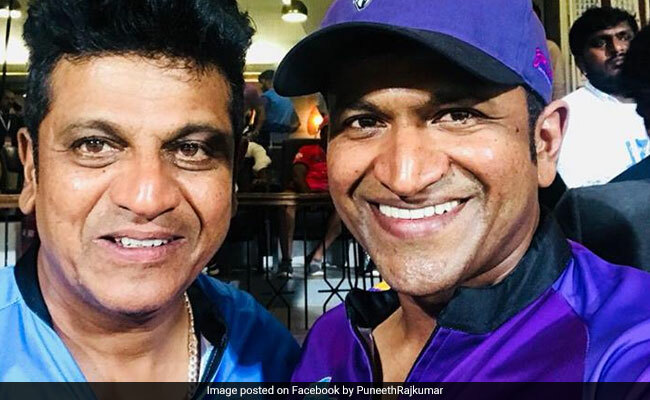 Shiva and Puneet Rajkumar, sons of Kannada actor Rajkumar, were reportedly raided. Actor Sudeep said he believed the investigation had something to do with the budget of three recent Kannada films. He added that he would cooperate as he hasn't done anything wrong. He said, "I have no clear idea what it is about. I will help with formalities. It has nothing to do with me personally. They are asking about the films. I would be worried if I had done something wrong."